Create the ultimate modern buffet presentation with the Virtuoso collection of premium chafers. featuring beautiful, clean styling and optional gold plated accents. 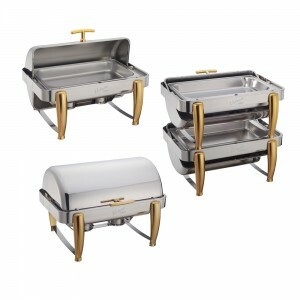 Categories: CHAFERS & BUFFETWARE, FRONT OF THE HOUSE, SMALLWARES, VIRUTOSO.